Following the huge success of this January's trial Wellness Retreat Vamizi Island will be offering clients two further opportunities to take part in these exclusive retreats. Arriving at Vamizi feels as if one has reached the end of the earth and this retreat offers the ideal way to revive, restore and rejuvenate, whilst losing oneself in the natural charms of this magical Indian Ocean jewel. Renowned yoga teacher Claire Finlay will follow a principal of nurturing and escapism in creating a program entirely tailored to each individual's needs and abilities. Each day will start with vinyasa yoga on the shoreline, and a freshly prepared juice from the islands 'natural pharmacy'. The group (a maximum of 10 on the retreat) may then choose from a variety of activities to fill their days including kayaking through the mangroves, scuba diving, snorkeling, treatments and massages, a guided conservation walk or even some deep sea fishing to catch surf fresh tuna for supper. 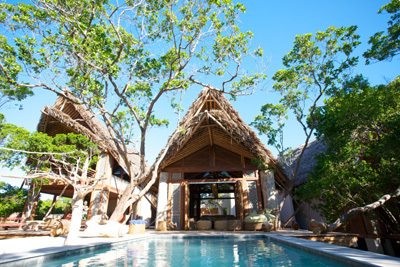 There will be plenty of time to read, take a walk with the island's resident naturalist, watch the monkeys play in front of the villa or take a leisurely swim in the warm Indian Ocean before Claire leads a second yoga session in the evenings as the sun goes down on another day in this remote paradise. Scott Dunn (scottdunn.com) offer the Vamizi Wellness Retreats on a fully inclusive basis sharing a private villa for a six night stay on the island, twice daily yoga with Claire Finlay, one complimentary dive, one fishing trip and a complimentary spa treatment per stay, flights with British Airways and transfers, based on single occupancy. For more information, visit vamizi.com.